Home » Operating System » Windows » How to Delete COM Ports In Use? How to Delete COM Ports In Use? In case you are facing with trouble with your COM ports in use that stacking, these brief steps below will help you to clear them out (for example, when you found myself needing to connect via a USB to Serial adapter to a server and noticed that 35 COM ports showed in use). Somehow the COM ports were not getting cleared out. The fact is that when you connect a new COM or an USB device (such as smartphone, modem, RS232 to USB converters etc. ), Windows detects newly connected device using Plug-and-Play (PnP) and creates a new virtual COM port with a number from 1 to 255. When you remove this device, the created COM port will not be deleted automatically. If you reconnect this device to a computer, the system re-assigned to it the reserved COM port number. But for any new COM device is assigned the first unallocated (free) COM port number. Thus, over time, a large number of reserved COM ports (in “in use” state) for certain COM or USB devices may appear in the system, although the devices themselves may not be connected to your computer. 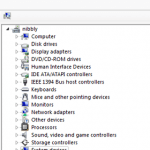 These ports by-default are not visible to the user in Device Manager. Some legacy applications do not work correctly with COM ports with numbers 10 and higher. What to do in case your COM device received such a number? This time we will show you how to delete reserved COM ports and remap the COM port for a particular device. Information about the COM ports in use is stored in the registry parameter CommDB under the registry key HKEY_LOCAL_MACHINE\SYSTEM\CurrentControlSet\Control\COM Name Arbiter. However, changing the value of this attribute manually is rather risky. It is much easier to clear information about used COM ports using Device Manager, devcon CLI utility or COM Name Arbiter Setter tool. One thing is to see if hidden devices are taking up the ports: run Command Prompt (cmd.exe) with the elevated privileges. Type set devmgr_show_nonpresent_devices=1 in the Command Prompt and then press Enter (you might have to restart your computer after this step). Type cd c:\Windows\system32 in the Command Prompt and then press Enter. Type start devmgmt.msc in the Command Prompt and then press Enter. Activate the display of hidden devices from top menu by clicking View > Show hidden devices. This will list all devices including those that are not connected to your computer. Now if you expand the Ports (Com&LPT) section, all the COM ports that have ever been created will be displayed (the hidden and unused ones being in grey). You can uninstall away anything that you don’t want (right click, select Uninstall). This way you can delete all unused and hidden COM ports. Be careful and do not accidentally delete COM ports that work fine. Thus, you can delete all unnecessary COM ports (if you try to remove the used device, the Remove failed error appears). Also you can easily remove unused COM-Ports with the help of graphical tool – COM Name Arbiter Setter V0.7 (you can download it here). This utility could help you to modify registry parameter ComDB in a simple way. Download and extract the archive com_name_arbiter_setter.zip. Run COM_Name_Arbiter_Setter.exe with administrator permissions to allow access to system registry. You can see on screenshot that only COM1 and COM3 ports are reserved. You can delete all COM port reservations by clicking Clear non present button, or by unchecking all unused COM ports. Click apply to save changes and clear com ports assignment. In the Com Port Number drop-down list, select the desired number and press OK. I tested this just a few minutes ago and yes, it looks like it has changed a little bit. Got it working. You need to do this. Open up Command Prompt, type: set DEVMGR_SHOW_NONPRESENT_DEVICES=1 and then hit enter. Then type: start devmgmt.msc. Then go up to view and show hidden devices. It should now show up even when it isn’t plugged in. @Patrick: Thank you for mentioning that, I have updated the post above. This worked. Stupid Windows Vista decided it didn’t like com ports 1-14 anymore. It worked! Non present devices show up with the port number assigned right next to it. That’s exactly what I needed. Thank you Brian for sharing your wisdom! 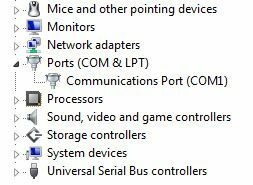 I have over 1200 serial ports in use on my pc is there a way to uninstall several ports at 1 time? First it didn’t worked for me. But then I booted in safe mode, and do this procedure. It still didn’t worked, but then I started deleting all unnecesarry devices like usb disk drives and stuff. 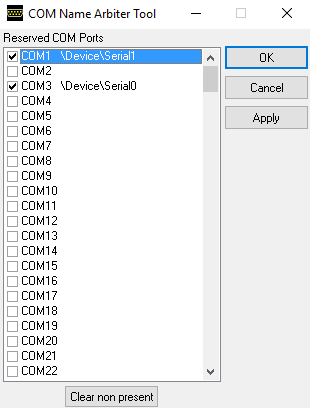 After some while in Com&ports sections I managed to see some more devices with com ports assigned to them, and only then I could delete them. * Click a “New…” button, preferably the upper one but it doesn’t really matter. * Fill in variable name devmgr_show_nonpresent_devices and Variable value 1. Thanks, worked a treat in Windows 7 (no reboot was required) when I replaced my motherboard. The com ports werent working and on checking the ports in use there were twice as many as there should be. Your tip allowed me to get rid of the old ones. It doesn’t work on win7 home premium. For windows 7 32bit, etc, be sure you are in the Windows directory. Type: cdWindows once you are int he command prompt, then follow steps 2,4,5,6 above. Works, but I can only uninstall some comports, but not all are show, so I can’t free all my comports. It does show nicely all my connected and unconnected devices. hi, anybody know how to install a com port? Hi Brian, got a quick question…what if you uninstall all the COMs and reboot but the COM ports come back and still show that they are in use when there is nothing being shown for the device(s)? Is this machine a member of a domain? If so, you might try logging on as local administrator account and re-follow the steps above. Yes, works a treat (reboot definitely required with XP Pro SP3). Many thanks! Great, glad we could help!
. How do you do it there? Ok I figured it out never mind printers, removing to get comports etc..
Com Ports will not show until you connect a comport. So even though your comport is high and unusable (for a test) go ahead and activate it only then will you see it listed under ports you’ll see the comport shows up but its likely too high for your application, just an exercise so you can see comports will only show if you have something paired. Now the reason you have all these unused comports is because drum roll …you have plugged in a multiple USB hub get it ? The hub causes unused com ports to be assigned so when you pair the one com port you need its sequentially high on the list, a number that won’t work. 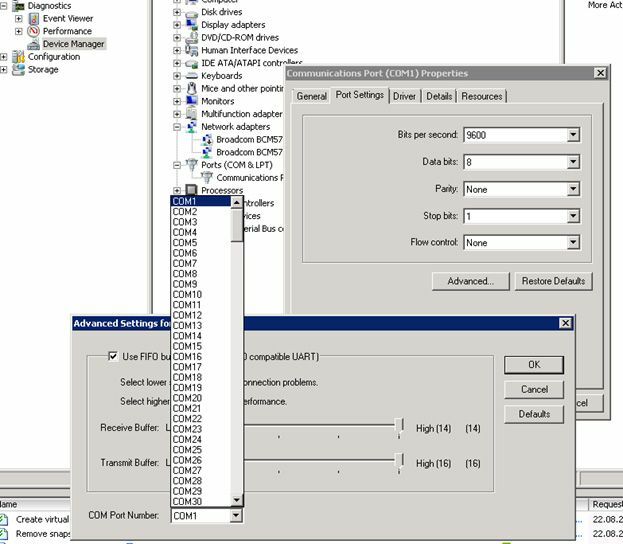 Remove the external hub then create the com port (pair) the one you want, once paired you’ll find your assigned a lower usable comport. Then, if you want, plug the hub in and it will assign comports above the lower number one you just installed. Computer will remember the comports unless you remove the lower comport, no worries just repeat the process to get the right comport.